CJVD 100.1, the French-language, commercial music station in Vaudreuil-Soulanges, Quebec is for sale. 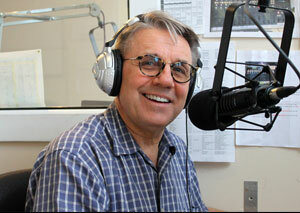 Yves Sauvé, the station’s founding owner, wants to retire. Before starting CJVD in 2008, Sauvé worked for CKCH Hull; CJRP, CHRC, CFCM-TV (TVA) Quebec City and later TVA, CHRS and CKVL in Montreal. 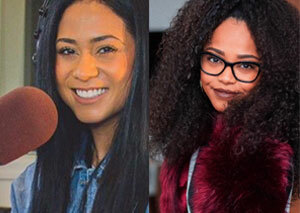 G98.7FM (CKFG-FM) Toronto has launched new Friday programming targeting the younger A14-34 demographic. Mega Fridays will air from 3 – 7 p.m. with host Nikki Grant (Nikki G) and DJ Ty Munro (Tyra Dorsey), the station’s newest mix DJ, who’ll sit in every Friday from 5 – 6 p.m.
AM 1150 Kelowna has inked an agreement with the Kelowna Rockets to provide broadcast coverage of all Rockets’ regular season and playoff games through 2021/22. Veteran AM 1150 sportscaster Regan Bartel returns as the voice of the Rockets, marking 20 years of play-by-play game coverage and his 25th year covering the Western Hockey League (WHL). Joining Bartel is commentator Kent Simpson. 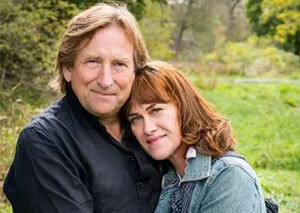 LIFE 100.3 (CJLF-FM) Barrie raised nearly one-third of its annual budget in just two days during its Sharathon 2019 fundraiser, Mar. 27-28. The listener-supported, not-for-profit contemporary Christian music station enlisted over 30 phone volunteers, who took 1,700 listener pledges. 2019 marks the station’s 20th anniversary which will be celebrated with a concert celebration on Saturday, Aug. 17 at First Baptist Church in Orillia. 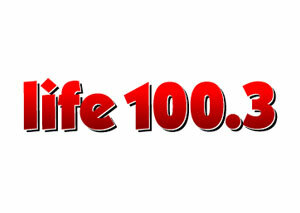 LIFE 100.3 has repeater stations in Owen Sound at 90.1FM, Peterborough at 89.3FM and Huntsville at 98.9FM. 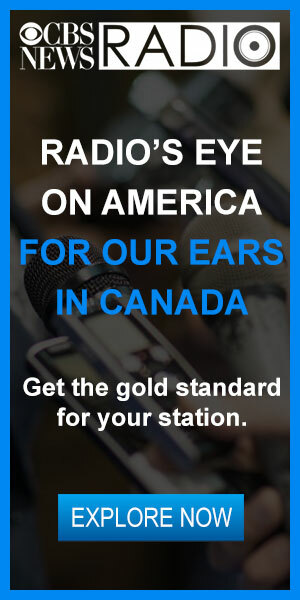 99.3 County FM (CJPE-FM) Picton, ON, will kick off its fifth anniversary celebrations with a station Radiothon Apr. 25-28. The Radiothon will raise funds to finish off the startup loan that helped put the not-for-profit community station on-air in Oct. 2014. Over the four days of Radiothon weekend, County FM listeners will be treated to live on-air performances by more than 40 local musical acts. Listeners will also be able to visit the station to watch performances live in studio. Host Mark Campbell has been named the event’s honourary chair. 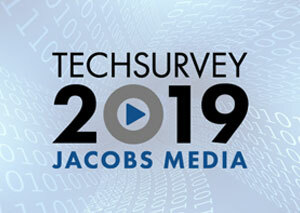 Techsurvey 2019 from Jacobs Media finds that many listeners are still choosing radio because it’s free and easy. The web survey, conducted in early February in the U.S. and Canada, found seven in 10 (71 per cent) cite ease of listening, while more than six in 10 (62 per cent) say a prime motivator is that it’s free. The number of respondents who agreed that one of radio’s primary advantages is its local feel is up (86 per cent), versus 77 per cent three years ago. Techsurvey found that while 65 per cent of listeners are using traditional radios, 31 per cent of listening is taking place via digital platforms (computer streams, mobile apps, smart speakers), up from 27 per cent in 2018. Four in 10 weekly podcast listeners say they are listening to more podcasts now than one year ago. Weekly podcast listeners who consume six or more podcast episodes in an average week also rose year-over-year, to 24 per cent, up from 17 per cent in 2018. Doug Crosley, 83, on Mar. 22, in Oshawa. Crosley grew up in Oshawa and began singing as a child in Sunday school. While working at the local General Motors plant, he won a talent show, and by the late 1950s began appearing on television variety programs like CBC’s Juliette. He moved to Winnipeg in 1961 to host CBC variety show Swingalong. Following an appearance on the Bell Telephone Hour in New York City, Crosley was signed to RCA Victor and recorded his first album, A New Star In Town. Appearances on The Tonight Show with Johnny Carson, The Mike Douglas Show and The Merv Griffin Show followed. He also appeared as himself in several episodes of Mister Rogers. Crosley went on to host his own Saturday evening variety program The Doug Crosley Show on CBC in 1973. 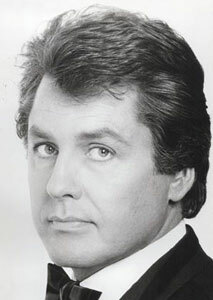 He also served as host for the 1980-81 season of Stars on Ice. Michael G. Wilmot, 66, on Mar. 30, after a battle with cancer. Raised in Napanee and attending high school in Sarnia, Wilmot started in radio in the late 1970s at CKOX Woodstock and then CKGB Timmins. He returned to Sarnia and CKJD in 1978 where he stayed until 1986, when he took a job with CFPL 980 London. 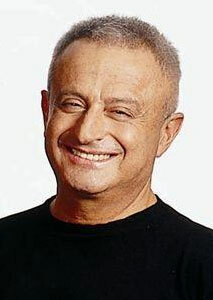 Wilmot left radio in 1994, discovering a love of theatre that was sparked after getting dragged to an audition to act as moral support for a friend. He went on to write six full-length plays, four of which were produced professionally. Mainly writing in the field of comedy, his credits included freelance writing for Jay Leno’s Tonight Show monologue and for Kevin Nealon during his stint as the host of Saturday Night Live’s Weekend Update. 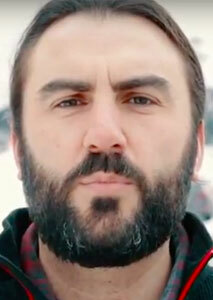 His work has been performed across the U.S. and Canada, Russia, Australia, Romania, and Panama. His short play “Nancy” was published by Playwrights Canada Press in their short play anthology “Long Story Short.” Wilmot parlayed his love of theatre into a business in the late 1990s called Interactions Reality Based Training, which provided professional actors for training scenarios to enhance the realism. Canadian Screen Week was capped Sunday night with the Canadian Screen Awards Broadcast Gala at Toronto’s Sony Centre for Performing Arts. The night’s big winners were Cardinal: Blackfly Season (CTV), Letterkenny (Crave), Anne with an E (CBC/Netflix), and Schitt’s Creek (CBC). Cardinal’s Billy Campbell and Karine Vanasse took home the Best Lead Actor and Actress nods in the Drama Program or Limited Series category, while Letterkenny’s Jared Keeso claimed Best Lead Actor, Comedy. Keeso and Jacob Tierney also won the award for Best Writing, Comedy. Catherine O’Hara earned the Best Lead Actress, Comedy honour for Schitt’s Creek, which was also named Best Comedy Series. Anne with an E won Best Drama Series with Amybeth McNulty taking home the Best Lead Actress, Drama Series honour. Kim Coates won Best Lead Actor, Drama for Bad Blood. Quebec film Une colonie also picked up two awards – Best Motion Picture and Best Performance by an Actress in a Leading Role for 14-year-old Émilie Bierre. Find the full list of winners here. 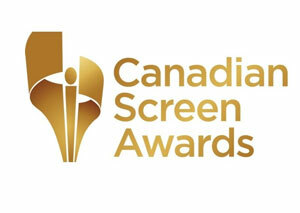 The Canadian Screen Awards honouring Creative Fiction Storytelling were handed out in Toronto on Mar. 27. The night’s big winners included Anne with an E, which picked up five awards, including Best Supporting Actor and Actress nods for R.H. Thomson (Matthew Cuthbert) and Geraldine James (Marilla Cuthbert). CTV’s northern crime drama Cardinal also won five awards including Best Limited Series for Cardinal: Blackfly Season. Baroness Von Sketch Show picked up four awards and was named Best Sketch Comedy Show & Ensemble Performance. TVO’s Odd Squad also claimed four awards including Best Children’s or Youth Fiction Program or Series. Crave’s Letterkenny and TVO’s Paw Patrol each won three awards. Find the complete list of winners here. Lionsgate Canada has struck a distribution partnership with Victor Loewy, former CEO of Alliance Films. First reported by Deadline, the strategic arrangement will see Loewy, Cineplex, and independent distributor Mongrel handle Canadian theatrical distribution of films produced or acquired by Lionsgate. The first film expected to be released under the partnership will be Rian Johnson murder mystery Knives Out, starring Daniel Craig. Terms of the deal have not been disclosed. TVA Group has closed its acquisition of Montreal-based television producer and distributor Incendo group for $19.5 million. 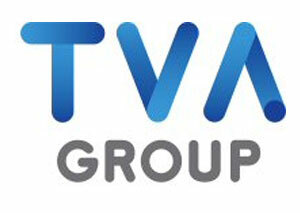 France Lauzière, president and CEO of TVA Group and Chief Content Officer of Quebecor Content, says the acquisition will help step up the company’s international development and expand its footprint in English-language markets. The Canadian Media Producers Association (CMPA) says while 2018 was a record year for overall film and television production volume in Canada, reaching a high of $8.9 billion ($12.8 billion in GDP) and generating 179,000 jobs, its latest report contains some concerning trends where Canadian content production is concerned. Profile 2018, published by the CMPA in collaboration with the Department of Canadian Heritage, Telefilm Canada, the Association québécoise de la production médiatique (AQPM) and Nordicity, looks at screen-based production between Apr. 1, 2017 and Mar. 31, 2018. The total volume of film and television production in Canada increased by 5.9 per cent to an all-time high of $8.92 billion, driven by another sharp increase in the volume of Foreign Location Shooting (FLS). It rose by $993 million to an all-time high of $4.77 billion in 2017/18, after increasing by $1.12 billion in 2016/17. The volume of Canadian theatrical feature film production also rose by $17 million, or 13.9 per cent, in 2017/18. Those increases were partially offset, however, by a $309 million decrease in the volume of Canadian television production and a $201 million decrease in the volume of broadcaster in-house production. Read the full story here. 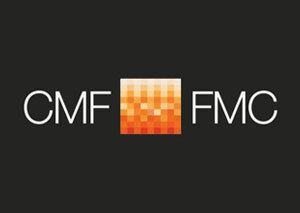 The Canada Media Fund (CMF) has announced new Program Guidelines for the 2019-2020 fiscal year. 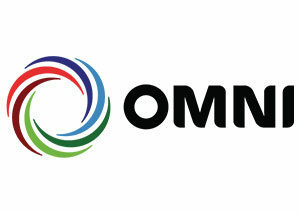 The CMF also announced it’s committing $353M to invest in Canada’s television and digital media. 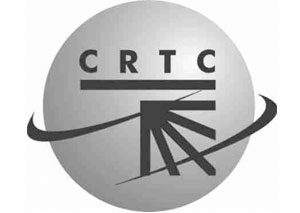 Among the changes, following a directive from the Department of Canadian Heritage, the CMF will expand its current funding triggers so that online platforms that are owned, operated and controlled by CRTC-licensed broadcasters and BDUs will be considered eligible and allowed to trigger projects in the Convergent Stream. An Over-the-Top (OTT) Factor will be introduced, which will reward content licensed by and premiered on these online services. ]The CMF will increase the In-house and Broadcaster Affiliated caps to 25 per cent across all genres. It will also eliminate the decrease in licence-fee top-up for returning series. Changes to the Experimental Stream include introduction of a Conceptualization Program on a pilot basis, designed for applicants to create and test a proof of concept, verify design ideas or demonstrate functionality under the Commercial Projects Program (C2P) or Innovation Program. A more detailed summary of changes can be accessed here. The CMF will host webcasts Tuesday, Apr. 9 to provide an overview and answer questions. 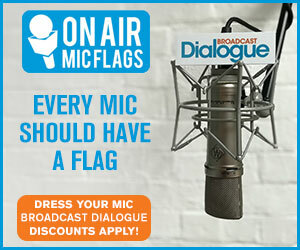 Find details on how to join the webcasts here. Francois Choquette, the Member of Parliament for Drummond, Quebec and the NDP’s Official Languages Critic, is seeking a judicial review in Federal Court, unhappy that the Commissioner of Official Languages dismissed his motion alleging the government’s Netflix content deal violates the rights of Francophones. Choquette wants to force Netflix to air a percentage of French content, arguing that the digital giant should be airing 22 per cent French content in Canada, the equivalent percentage of Francophones in Canada. The NDP member’s complaint dates back to 2017, when the federal government first announced Netflix’s $500 million, five-year investment in Canadian production. Choquette is also initiating legal proceedings against Canadian Heritage for failing to honour its commitments under the Official Languages Act. Blue Jays: Pinoy Edition has returned to OMNI Television for a second season. As the exclusive home for the Toronto Blue Jays in Filipino, all 27 regular season Sunday home and away games will air on OMNI and ICI Television Quebec. Sportscasters Andrea Aquino and Senen Salacup join the on-air broadcast team, alongside returning commentators Mike Cruz and Charles de Torres. Aquino is also co-host of Filipino current affairs and news show TV Migrante. Salacup, who serves as analyst, has more than 40 years of baseball expertise, playing at the junior league, varsity and amateur levels in the Philippines. CBC, Rogers, Bell Media and Postmedia are teaming up to host Alberta Election 2019: The Leaders Debate on Thursday, Apr. 4 from 5:30-7 p.m. MT. The debate will air live across television and digital platforms on CBC Calgary, CBC Edmonton, CBC News Network, CityNews Calgary, CityNews Edmonton, CTV Calgary, CTV Edmonton, CTV News Channel, Omni TV, and online at CalgaryHerald.com and EdmontonJournal.com. 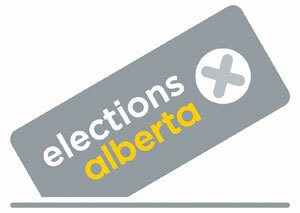 On radio, the debate will be broadcast on 660 News Calgary and province-wide on CBC Radio. CTV Calgary anchor Tara Nelson will moderate the 90-minute debate from the CTV Edmonton studio. Panelists include CTV Edmonton anchor Erin Isfeld, CBC Alberta provincial affairs reporter Kim Trynacity, Postmedia Legislature reporter Emma Graney, and CityNews reporter Courtney Theriault. 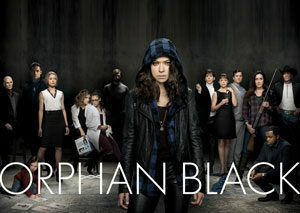 CTV Throwback, one of the free streaming portals offered on the CTV.ca superhub, has added all five seasons of popular, sci-fi series Orphan Black. Since the launch of CTV Throwback and CTV Movies in December, more than 1,000 hours of programming and more than 1,400 titles have been added to their libraries for viewers to stream for free without a subscription. 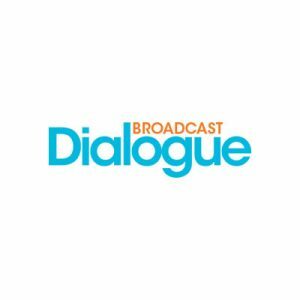 On the latest episode of Broadcast Dialogue – The Podcast, Brad Danks, the CEO of Canadian specialty channel and OTT platform OUTtv. The LGBTQ network expanded its global footprint in 2018, finding success with its original content in New Zealand, Australia and South Africa, and was subsequently named Playback’s Channel of the Year. Danks talks about the challenges of being an independent Canadian operator in the current regulatory landscape and why he thinks the future of Canadian broadcasting lies in the production of original content. 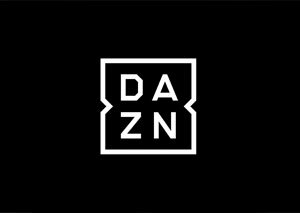 DAZN has acquired the exclusive rights in Canada to all Premier League matches for the next three seasons, starting in Aug. 2019. In addition to streaming all 380 matches per season live, DAZN will receive Premier League highlights, preview and weekly magazine programs, plus clips of archived footage. The sports streaming service says the acquisition cements its position as the home of European Soccer in Canada. With a DAZN subscription, Canadian fans will have a season pass to watch UEFA Champions League, UEFA Europa League, Serie A TIM, LaLiga Santander and Ligue 1 Conforama. Corus Entertainment has announced that it’s acquired the Canadian operations of multi-platform lifestyle entertainment company Kin. Kin has been partnered with Corus since 2014 when Kin Canada was launched. The creator network, targeted to women, spans food, fashion, home, DIY, and health and wellness. It boasts more than 478 million monthly YouTube views globally, and 81 million YouTube subscribers, along with 74 million Twitter, 66 million Instagram, and 14 million Pinterest followers. Roughly 70 per cent of its audience are women between the ages of 18 and 34. Canadian content creators include vegan chef Lauren Toyota; former Food Network star Yolanda Gampp; LaurDIY, one of Canada’s Top 5 female YouTube creators whose channel blends her love and talent for DIY with fashion, home, and fitness; and Kristen & Siya, the adventure seeking, tiny home-living couple behind the Hopscotch the Globe brand. 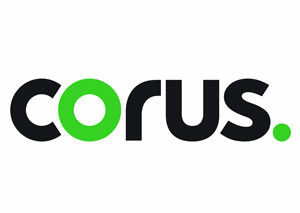 Corus says its investment in the company’s extensive premium creator network will further strengthen its position in the lifestyle space, in addition to complimenting its social digital agency, so.da. 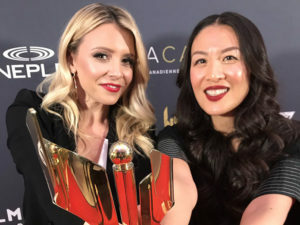 Danielle Graham and Lainey Lui shared the award for Best Host, Web Program or Series, for their Twitter special etalk Live: The Oscars Balcony at the Canadian Screen Awards Gala Honouring Digital Storytelling. The Canadian Screen Awards Honouring Digital Storytelling took place in Toronto last week recognizing Canadian, digital content creators in 13 categories. New categories this year included Best Supporting Performance, Web Program or Series; Best Writing, Web Program or Series; Best Immersive Experience – Non-Fiction; Best Immersive Experience – Fiction; and Best Virtual Reality Game. Among the night’s winners were Danielle Graham and Lainey Lui, who shared the award for Best Host, Web Program or Series, for their Twitter special etalk Live: The Oscars Balcony. CBC Comedy web series How to Buy A Baby (LoCo Motion Pictures) took the award for Best Web Program or Series, Fiction, while veteran Canadian actress Jayne Eastwood claimed the honour for Best Supporting Performance for The Writers’ Block (Frantic Films), also streamed by CBC Comedy. Find the complete list of winners here. CBC is partnering with the Canadian Improv Games to showcase talented youth from across the country, starting with the Games’ annual National Tournament and Festival in Ottawa this week. Celebrating 42 years since the first tournament, the four-day event invites high school improv teams to Ottawa’s National Arts Centre where they will go head-to-head against teams from across Canada. 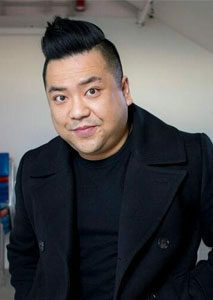 This year, CBC will be onsite to capture the action, which will be released as a six-part docuseries on the CBC Gem streaming service later this year, hosted by veteran improv performer and Canadian Screen Award-winning actor Andrew Phung (Kim’s Convenience). 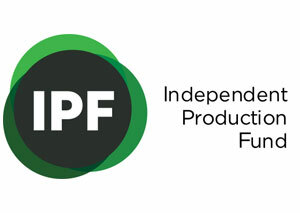 The Independent Production Fund (IPF) and its 40-member Pre-Selection Committees have selected 20 short-form web series proposals which are now eligible to advance to the next phase of the application process and apply for Production Financing. They include 14 projects in English and six in French. Three web series, previously funded by the IPF, achieved certain milestones of success and are eligible to apply for second seasons. 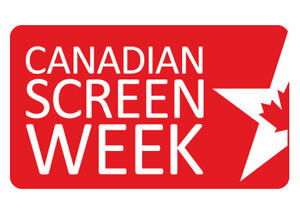 The IPF received a total of 160 proposals for web series funding from across Canada. Watch trailers of the short-listed web series here. Credit Unions of Atlantic Canada is partnering with Jonathan Torrens’ Canadianity Content Studios (CCS) to launch financial literacy web series “Your Two Cents.” Torrens, one of the former hosts of CBC’s Street Cents, hosts the eight-part web series focused on teaching the next generation of Canadian consumers how to be smart, informed, and engaged. Torrens says in the same way Street Cents armed viewers with valuable info to make their own decisions, “Your Two Cents” will blend pop culture and parody with practical takeaways. The first season will start streaming in early spring. RTDNA Canada has announced that Lynda Steele and Rob Germain will receive its Lifetime Achievement Award in the West Region. Steele is the host of The Lynda Steele Show on 980 CKNW. Her career began at CKVU-TV Vancouver, and then CITV-TV Edmonton, CBC Edmonton and Global Edmonton, where she was the 6 p.m. anchor for 17 years. After moving back to B.C. in 2011, she was the host of consumer/investigative segment Steele On Your Side on CTV Vancouver, before becoming a talk show host at CKNW. Rob Germain has been in broadcasting for more than 30 years, starting his career at BCTV (now Global BC). For 17 years, Germain was news director at CHEK in Victoria. In 2009, he was instrumental in bringing employees and community minded investors together to save CHEK from closure. CHEK is now the only employee-owned TV station in North America and this year will celebrate 10 years of success as an independent. Under Germain’s leadership, CHEK News was awarded Best Medium Market Newscast in Canada in 2016. In September, Germain was appointed general manager of CHEK Media Group. Germain and Steele will be presented with their awards during the West Regional Meeting on Apr. 6. 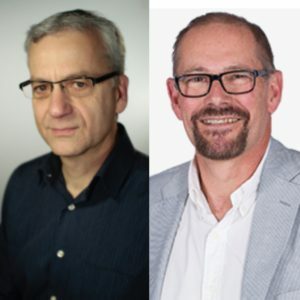 Cecil Rosner and Geoff Currier will receive the RTDNA Canada Lifetime Achievement Award in the Prairie Region. Rosner has been an award-winning journalist in Canada for four decades and has devoted his career to reporting and supervising investigative journalism projects and teams, including CBC’s I-Team unit in Winnipeg. He has won Michener and Gemini Awards for his journalism and authored investigative works Behind the Headlines: A History of Investigative Journalism in Canada and When Justice Fails: The David Milgaard Story. He was the managing editor at CBC Manitoba until last year and is now director of investigative journalism for all CBC News regions across the country. 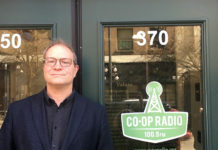 He is also an adjunct professor at the University of Winnipeg where he teaches Investigative Journalism in the Department of Rhetoric, Writing, and Communications. Currier started doing play-by-play for the Saskatchewan Roughriders in 1986 and spent the next 12 seasons at CKRM Regina, serving as the station’s sports director, in addition to acting as TSN’s Saskatchewan correspondent. 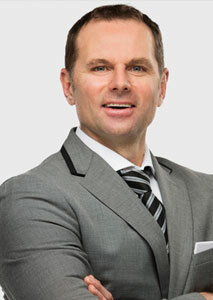 In 1997, he made the move to CJOB Winnipeg as the host of Prime Time Sports. In the early 2000s, he reinvented himself as a talk show host and for the last four years has occupied the coveted slot formerly held by the legendary Peter Warren, and later, Charles Adler. Rosner and Currier will be presented with their awards during the Prairie Regional Meeting on Apr. 6. 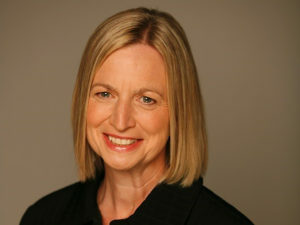 Joanne MacDonald is the 2019 recipient of the RTDNA Canada Lifetime Achievement Award in the Central Region. 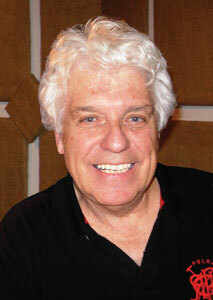 After graduating with a Bachelor of Applied Arts in Radio and Television from Ryerson University in 1981, MacDonald started in the news business in radio at CJRT-FM and CJCL-AM Toronto. She transitioned to television as a story producer for Canada AM in 1983, and then to field producing for CTV National News in 1989. From there, she headed to Ottawa, where she became the bureau manager and then Deputy Ottawa Bureau Chief for CTV News. Later returning to Toronto, MacDonald continued to ascend the ranks, ultimately to the role of Vice-President, CTV News where she oversaw day-to-day operations and strategic vision for CP24 and CTV News Toronto. MacDonald will receive her award during the RTDNA President’s Reception in Toronto on May 10. RTDNA Canada handed out its East Region RTDNA Awards of Excellence on Saturday night in Halifax, recognizing the best journalists, programs, stations and newsgathering organizations in radio, television and digital. Find the complete list of winners here. 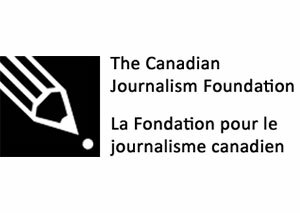 The Canadian Association of Journalists has released the full list of nominees in the 2018 CAJ Awards program. 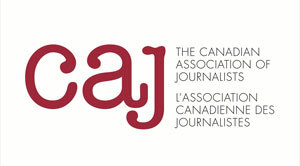 The recipients in each category will be announced May 4 at the CAJ Awards Gala in Winnipeg, part of the #CAJ19 Annual Conference at the Radisson Hotel. Find the full list of nominees here. John Honderich, chair of Torstar Corporation, the parent company of the Toronto Star and numerous city and community newspapers, is the recipient of The Canadian Journalism Foundation’s (CJF) Lifetime Achievement Award. 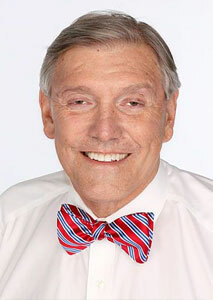 Honderich has been chair of Torstar, publisher of more than 80 newspapers, since 2009 continuing a notable career in media and publishing. He will be honoured at the annual CJF Awards on June 13 in Toronto. The Canadian Journalism Foundation has released the shortlist for the annual Landsberg Award, celebrating a journalist who provides greater profile to women’s equality issues. This year’s finalists are Josée Dupuis, journalist with Radio-Canada’s Enquête, for her work with Jo-Ann Demers, Chantal Cauchy and Emmanuel Marchand, on the report #Uvangalu (#Metoo) on Inuit women and girls in Nunavik who are harassed and sexually assaulted by white men who work in the North; Wendy Glauser, freelance health reporter, for her Globe and Mail piece exposing an Ontario doctor lauded for transforming emergency medicine who hired only men; Ann Hui, national food writer, The Globe and Mail, for her work with Ivy Knight, for articles relating to allegations by women that winemaker Norman Hardie had sexually harassed multiple women; Anne Kingston, senior writer and columnist at Maclean’s, for a body of work including stories on maternal regret and the growth of the anti-choice political lobby; and Connie Walker, senior reporter, CBC News, for her work with Marnie Luke, Heather Evans, Jennifer Fowler and Mieke Anderson for the podcast Missing & Murdered: Finding Cleo. 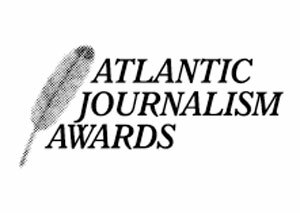 The Atlantic Journalism Awards (AJAs) have announced the finalists for their 2018 awards program. Gold and silver awards will be presented on Saturday, May 11 at the Halifax Harbourfront Marriott Hotel. 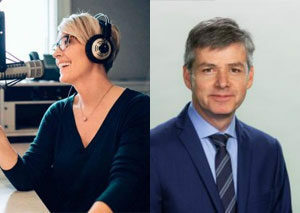 Among the finalists for Best Information News Radio Program are CBC Information Morning Halifax, Radio-Canada Acadie – Moncton, and the VOCM St. John’s Morning Show. News 95.7 (CJNI-FM) Halifax is the lone finalist in the Best Radio Newscast category for its cannabis legalization coverage. In the running for Best Television Newscast are CBC News New Brunswick at 6; CBC Nova Scotia News; and CBC P.E.I.’s Compass. Find the full list of finalists here. 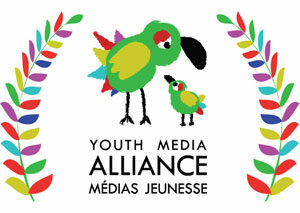 Youth Media Alliance (YMA) is giving its Outstanding Achievement Award to Fred Penner and its Emerging Talent Award to Rita Claire Mike-Murphy. They’ll be honored at a gala on May 29 at the CBC Glenn Gould Studio in Toronto. The Outstanding Achievement Award recognizes a distinguished career in youth production in Canada. In addition to 13 albums, in his television life Penner composed the music for YTV’s Tipi Tales and did 13 seasons of acclaimed Fred Penner’s Place series, airing on CBC in Canada and Nick. Jr. in the U.S. In her leading television role, Rita Claire Mike-Murphy hosts Anaana’s Tent, an educational and bilingual preschool series on APTN that teaches Inuktitut, the language spoken by the majority of Inuit in Nunavut, to the next generation of Canadian children. Raised in Pangnirtung, a community on Baffin Island, Mike-Murphy is also a talented musician who performs under the name Riit. 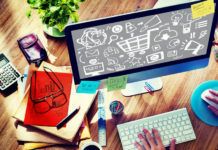 The CRTC has called for comments on a proposed annual survey for digital media companies. The survey would be administered to all currently licensed Canadian broadcasting undertakings as part of the commission’s fall 2019 Annual Broadcasting Survey. 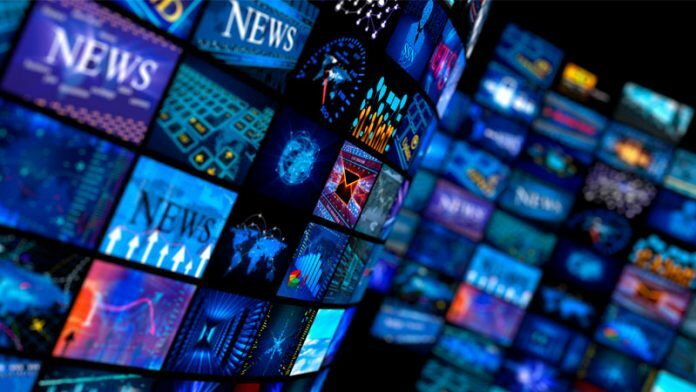 The purpose of the new survey would be to gather basic financial information on the digital media broadcasting activities of such undertakings so the commission can gain a better understanding of how they are changing in an increasingly digital environment. The CRTC is also reviewing how it calculates Canadian programming expenditures (CPEs). It’s called for comments on a proposal to update its policy to take into account the digital media broadcasting environment and whether expenditures made for digital media programming should qualify as eligible expenditures for the purpose of meeting the CPE requirements of licensed television services. The deadline for interventions is May 14. The CRTC and RCMP National Division have executed separate search warrants at a home in the Greater Toronto Area as part of an investigation into malicious software (malware) that enables remote access to computers without the users’ consent. The commission says the operation is part of an international coordinated effort that includes the FBI and Australian Federal Police. It was triggered by tips from international private cyber security firms. The warrants were obtained as part of ongoing parallel investigations into Remote Access Trojan (RAT) technology which can be used to access computers and lead to the subsequent installation of other malware and theft of personal information. The CRTC says it won’t name the individuals or companies under investigation. Further information will be released when the investigation is concluded. 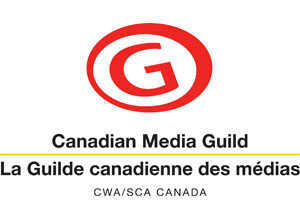 Canadian Media Guild (CMG) members at CBC/Radio-Canada have ratified a new collective agreement. Over 1,200 members voted 80 per cent in favour of the five-year agreement, which covers the period from Apr. 1, 2019 to Mar. 31, 2024. 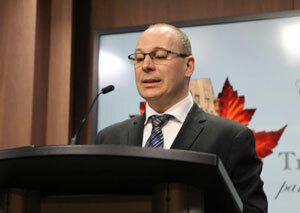 The union agreed to similar wage increase provisions as in the last round; 1.5 per cent in 2019, 1.5 per cent in 2020, and increases pegged to the federal Treasury Board rate for wage increases in each of the final three years. The agreement also includes a commitment to create 41 new permanent jobs through a combination of postings and conversions in employment status for some members currently classified as temporary employees. Some members who are currently serving in temporary positions will have their positions converted into permanent positions. CBC employees serving in Northern and isolated locations will also have their allowances upped to match the 2018-19 rates paid to federal employees in those locations. The Newfoundland and Labrador Court of Appeal has dismissed a civil contempt charge filed by Nalcor against reporter Justin Brake, related to his coverage of the Muskrat Falls hydro-electric project protest for The Independent in 2016. Brake followed protesters into the Muskrat Falls site and stayed with them as they occupied a building for four nights. The 29-page decision sided with the media, citing the importance of reporting on Indigenous issues in reference to the Truth & Reconciliation Commission. Nalcor can still appeal to the Supreme Court of Canada. Brake, who now works for APTN, still faces criminal charges of mischief and disobeying a court order. 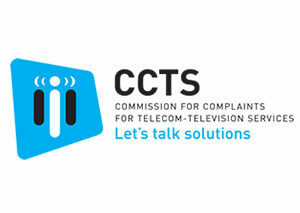 The Commission for Complaints for Telecom-Television Services (CCTS) says Canadians filed 44 per cent more complaints about their wireless, internet, TV and home phone services between Aug. 1, 2018 and Jan. 31, 2019, compared to the year previous. The CCTS says “incorrect charges” and “non-disclosure of terms” continue to be the top complaints, together representing 29 per cent of all issues. The commission also recorded a 42 per cent increase in breaches to the Wireless Code. Breaches related to “failure to give notice before disconnection” increased by 163 per cent. 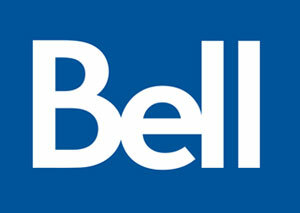 Bell once again was the most-complained about provider representing 30.9 per cent of all complaints, a decrease of roughly two and a half per cent compared to the 2017-18 Mid-Year Report. Rogers was second representing 9.3 per cent of complaints (down one per cent). The number of complaints about Cogeco increased from 120 to 790, making it the third most complained-about service provider (eight per cent). Telus came in fourth at 7.6 per cent. Freedom Mobile joined the top five most-complained-about list for the first time. It also recorded the most breaches of The Wireless Code (34 per cent of all breaches). Read the full report here. Nordicity has issued a new report, commissioned by the Canadian Wireless Telecommunications Association (CWTA), indicating Canada’s wireless industry contributed $27.5 billion to the Canadian GDP in 2017, an increase of 9.1 per cent from $25.21 billion 2016. The major contributor to the overall GDP increase was a $1.22 billion increase in the contribution of wireless network operators to the GDP. The wireless sector generated 151,550 full-time equivalents (FTE) jobs in 2017, including direct, indirect and induced effects – an increase of 13,500 FTEs or 9.8 per cent from 2016. 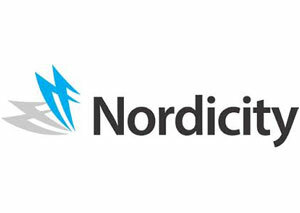 Nordicity says Canadian facilities-based network operators made capital investments in Canada’s wireless infrastructure totaling $2.92 billion in 2017 – an increase of $0.34 billion or 13.2 per cent from 2016. 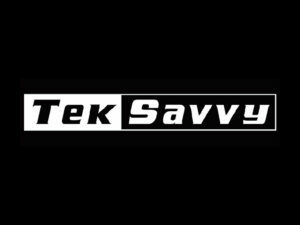 TekSavvy Solutions Inc. has announced the launch of its high-speed internet services into Western Canada, including Manitoba, Saskatchewan, Alberta and B.C. Customers can now choose from four different high-speed cable internet service packages starting at $23.95 per month, offering speeds up to 150Mbps and unlimited usage. TekSavvy is behind website Pay Less To Connect where Canadians are encouraged to contact their MPs in support of a new directive lobbying for lower internet and cell phone bills. The proposal is open for public comment until Apr. 8. 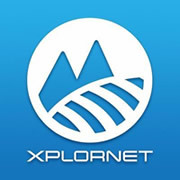 Xplornet Communications has unveiled new, unlimited broadband data plans across Canada. Priced from $59.99 to $99.99 a month, the plans are available to all Xplornet customers on its 4G fixed wireless broadband network across Canada. Both current and new customers can take advantage of the new prices. Videotron is launching a special program for adults who want to finish high school on their mobile phones, in conjunction with ChallengeU and partner school boards. 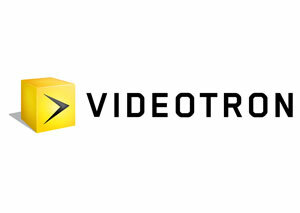 The Videotron program is the first of its kind in Québec and will be rolled out over the next few months. It will provide users with support in three key areas including rewarding adult learners who use the ChallengeU platform by offering them special privileges such as passes to big-ticket sporting events or concerts, or mobile phone accessories. Adults who complete high school through the ChallengeU platform will be bumped up in the hiring process for sales agent, customer service and technical support agent jobs at Videotron. The company is also launching a pilot project under which it will hire adults who are only a few credits away from completing high school, on the condition that they finish their studies on the ChallengeU platform within a reasonable time frame. 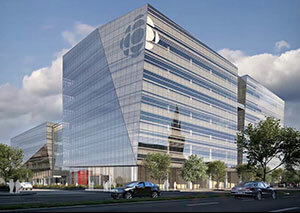 Lawo has released more details of CBC/Radio-Canada’s integration of its IP-based video, audio, networking and broadcast control systems in its new Montreal Broadcast Centre. The new Broadcast Centre will be an end-to-end SMPTE 2110 and ST2022-7 facility—one of the biggest of its kind ever built in North America. The 418,000sq.ft. facility will be home to production suites for news, TV and post-production activities and dozens of studios, control rooms, editing and infographic workstations as well as audio mixing suites. Its massive Master Control and Playout Room is designed to accommodate 40 TV channels, 40 web channels and 160 radio channels. Overarching, manufacturer-agnostic control and management of this broadcast infrastructure is provided by Lawo’s VSM IP broadcast control system, encompassing over 3,000 concurrent device connections and approximately 100,000 managed signal paths. Multiviewing for TV production control rooms is handled by Lawo’s vm_dmv Infinitely Expandable IP Multiviewer, a virtual module application (VM) for Lawo’s V__matrix C100 IP routing and processing platform. For audio production, CBC/Radio Canada has selected two Lawo mc²96 and four Lawo mc²56 third-generation mixing consoles with full support for native SMPTE 2110-30 and AES67/RAVENNA. A total of 18 ruby radio broadcast consoles for state-of-the-art radio operation in an intuitive hybrid package, based on physical controls, and a customizable touchscreen-based GUI will also be installed. Multi-format Power Core audio nodes handling AES3, HD MADI, analog and AES67 audio channels will be used for audio acquisition, along with Lawo Commentary Units, and A__stage multi-format stageboxes. Audio processing is provided by A__UHD Core DSP engines. 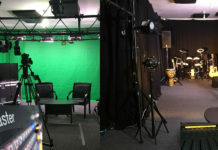 JVC Professional Video will introduce its CONNECTED CAM Studio 6000S compact live production and streaming studio next week at the 2019 NAB Show (Booth C4415) in Las Vegas. Designed for sports and other live events, the self-contained control room features a production switcher with six IP inputs that support NDI as well as the SRT (Secure Reliable Transport) streaming protocols. While designed to maximize IP workflows, the Studio 6000S inputs also support HD-SDI and HDMI sources. Other integrated features include an audio mixer, internal CG with templates, four layers of DSK, and clip store with playback. Features specific for live sports production include automated multi-channel instant replay and slo-mo, as well as an integrated sports CG for scores and timers. With a built-in H.264 encoder, the Studio 6000S supports up to 1080p streaming at up to 10 Mbps, with RTMP and MPEG-TS simultaneous output and direct streaming integration to Facebook Live and other CDNs. 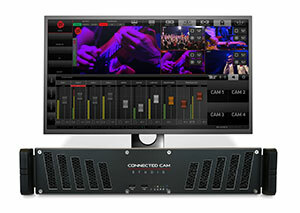 The CONNECTED CAM Studio 6000S (KM-IP600) has an MSRP of $13,000 (USD) and will be available in June. 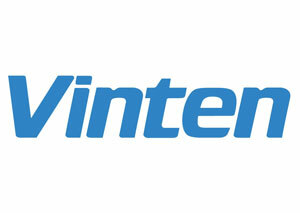 Vinten, a leader in manual and robotic camera support systems, has introduced its new FH-155 robotic/manual pan-and-tilt head designed to support heavy payloads in modern broadcast studio settings. With a maximum payload capacity of 70 kilograms (155 pounds), the FH-155 combines software and mechanical engineering to enable accurate, smooth, and quiet movements. In addition, the FH-155 is the industry’s first pan-and-tilt head with an option for a fully integrated StarTracker module, offering an absolute-reference tracking system for floor-roaming pedestal combinations. With StarTracker, broadcasters can calibrate multiple studios and move equipment between them as needed without additional calibration — saving time and improving efficiency in busy, multifunctional facilities. The FH-155 and FHR-155 will be available from May. The heads will be shown alongside Vinten’s full line of creative robotic solutions at the 2019 NAB Show in the Vitec Group booth, C5725. 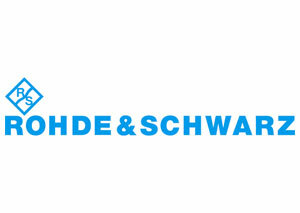 Rohde & Schwarz will present a solution for the future transmission of media content with 5G Broadcast at NAB 2019. 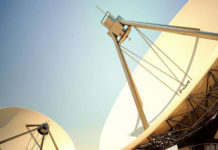 Broadcasters will be able to reach smartphone users directly using a high-power high-tower (HPHT) network topology as an overlay for mobile networks. As a part of Bavarian research project ‘5G TODAY’, Rohde & Schwarz is investigating large-scale TV broadcasts over an HPHT 5G Broadcast field trial near Munich. The project is also supported by Kathrein, Telefónica Germany and Bayerischer Rundfunk. The company will highlight the advantages of this emerging technology at the Rohde & Schwarz booth and demonstrate the first end-to-end solution for LTE/5G Broadcast. The 5G Broadcast experts will speak at the Broadcast Engineering and Information Technology (BEIT) conference on Tuesday, Apr. 9 at 9 a.m. 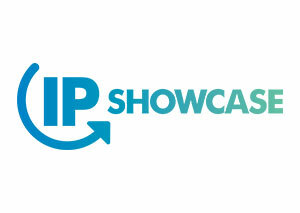 The IP Showcase, now in its third year at the NAB Show, will feature a new Future Zone demonstration area to highlight the latest advances in the standards-based approach to IP-based operation in broadcast. 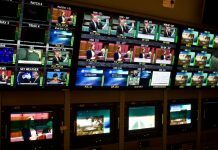 Following the industry’s general acceptance of SMPTE ST 2110 as the transport layer for IP systems, the Joint Task Force on Networked Media (JT-NM) is in the process of defining and releasing the JT-NM Tech Stack, a set of protocols that will make it easier for broadcasters to implement IP-based systems. Those developments will be demonstrated for the first time in the Future Zone. More info here. 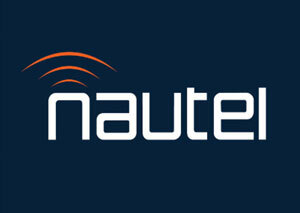 Nautel’s NUG@NAB Radio Technology Forum will be held Sunday, Apr. 7 at the Flamingo Las Vegas. New for this year’s event is a panel discussion on the Future of AM with guests Mike Cooney, CTO and EVP of Engineering, Beasley Media Group; Martin Stabbert, VP of Engineering, Townsquare Media and chair of the NRSC AM & FM Analog Broadcasting Subcommittee; Mike Raide, Senior Manager, Broadcast Technology at Xperi and David Kolesar, Senior Broadcast Engineer, Hubbard Radio (Washington, DC). Nautel’s Ted Nahil will host the panel. Find registration info here. Anton/Bauer has introduced Titon, a new series of Gold Mount and V-Mount batteries designed for on-location productions. Offered in both 90Wh and 150Wh models, Titon powers the leading DSLR, mirrorless, ENG, and digital cine cameras as well as LED panels — including Litepanels’ new Gemini 1X1 Soft RGBWW light. With P-TAP and high-speed Smart USB ports, Titon can also power accessories such as wireless transmitters, follow focus and lens controllers, monitors, and smart devices. Titon offers one of the widest operating temperature ranges in its class — from -4 °F to 140 °F (-20 °C to 60 °C). Titon is available now and will be on display for the first time at the 2019 NAB Show in the Vitec Group booth. 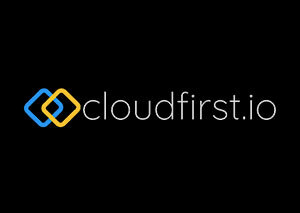 Cloudfirst.io, a Toronto-based innovator in next-generation digital archive transformation, and Signiant, a leader in intelligent file transfer, have announced a new partnership that integrates Cloudfirst.io’s Rapid Migrate legacy archive migration solution with Signiant’s patented acceleration technology and SaaS platform. The combined solution is aimed at making it easier for media companies to accelerate and modernize their archives as they move off legacy technology to leverage modern multi-cloud environments. Rapid Migrate is a high-performance SaaS-based orchestration tool which automates massive-scale migration off legacy archive and storage management platforms to next-gen solutions that include on-premises, cloud and hybrid storage. Signiant will be showcasing the solution at NAB 2019.
International Datacasting, a subsidiary of Winnipeg-based Novra Group, will launch a new version of the Novra S400Pro satellite receiver integrating Broadpeak® nanoCDN™ technology. The new product is geared at helping pay TV operators and others implement ABR (adaptive bitrate) formats, such as HLS or DASH, leveraging their existing network equipment for scalable, low-latency delivery of live streaming video. 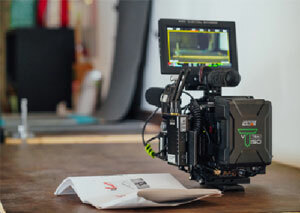 The S400Pro and nanoCDN™ will be on display at the NAB show. 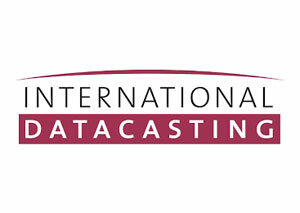 International Datacasting/Novra Group will be in South Hall, booth SU3621, Broadpeak in Booth SU9221. 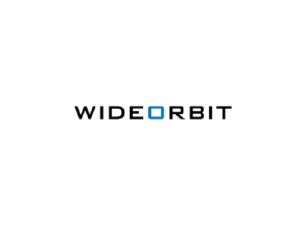 PromoSuite and WideOrbit have announced a new integration that promises to improve the speed of on-air contesting and liners in the studio. The new PromoSuite Next widget for WO Automation for Radio enables on-air talent to submit PromoSuite Next winner sheets, check winner eligibility, and log live liner and contest reads directly from the WideOrbit Automation for Radio interface, rather than toggling between the two systems. Representatives from both companies will be attending the NAB Show in Las Vegas.